We asked organizations to pinpoint their current location on the TVM Maturity Model, and found that 33% are at Level 2 or below, suffering from peak data overload and very unlikely to be able to effectively counter adversaries. Take a look at our infographic below! 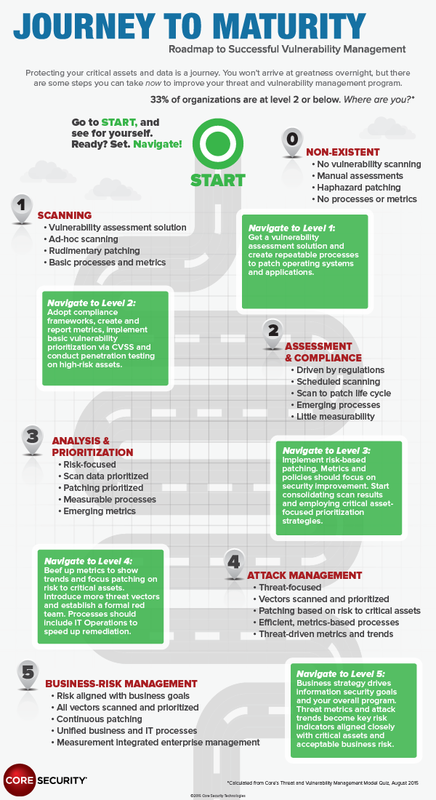 Can you easily identify where your organization is on the vulnerability management journey, and the next turn you need to take to advance your program?